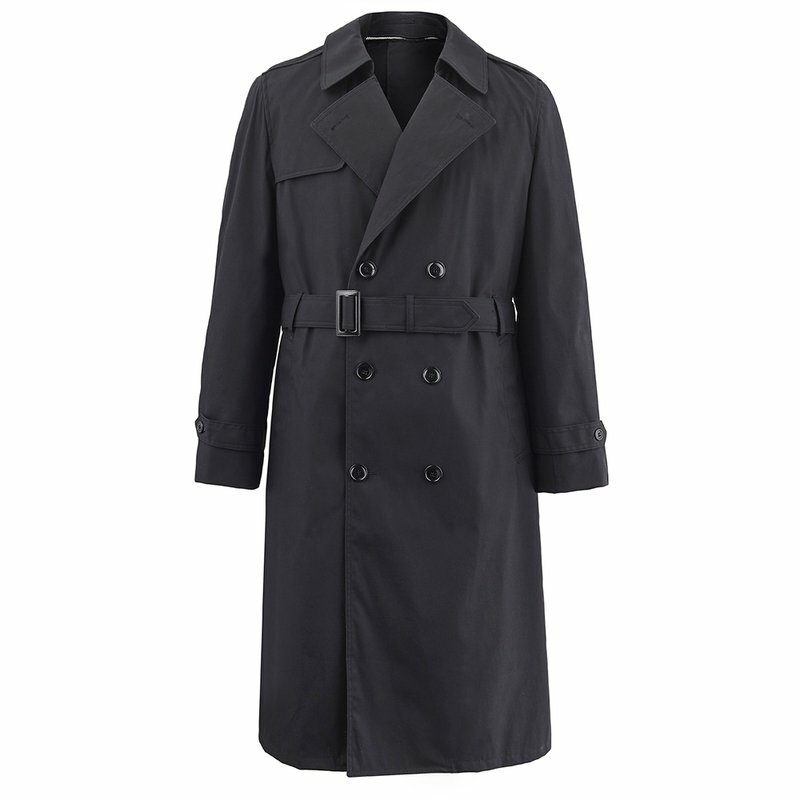 The pewter gray Marine Corps All Weather Coat is a full-length, double-breasted, belted coat with detachable liner. 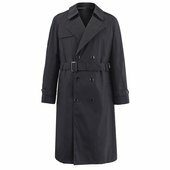 The coat is treated to be water-repellent / resistant. The Marine Corps All Weather coat may be worn or prescribed for wear with the service, dress and utility uniform. 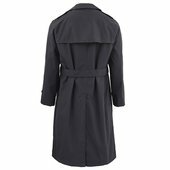 The All Weather Coat can be worn with or without the liner. Dry clean only. After each dry cleaning, professionally retreat coat with water repellency.